Artist registration is now open for the Beaverton Arts Mix! (BAM!) quick draw event that will be held on Saturday, Oct. 6 at the Beaverton City Library located at 12375 SW Fifth St. 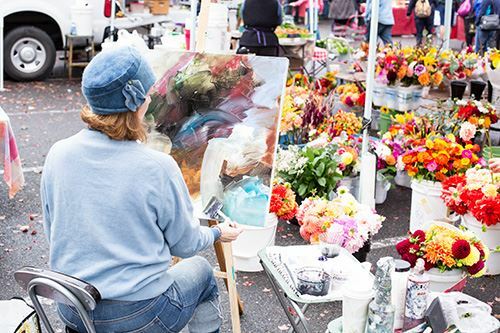 The quick draw is an en plein air event, in which artists will create a finished work in two hours outdoors “in the open air” in Beaverton. There is no cost for artists to participate and the first 20 artists to pre-register will receive a swag bag at the event. The quick draw will be held on Saturday, Oct. 6 between 10 am and 12 pm. The public is invited to tour three locations and watch the art in progress. The locations include the library lawn, City Park and Farmers Market. Judging will take place the same afternoon. Winners will receive cash prizes for Best in Show ($500), Honorable Mention ($300) and People’s Choice ($200). Art from the quick draw will be on display and for sale on Oct. 6 and 7 at the BAM! art show. Pre-registration is recommended but not required. To pre-register and to view the full BAM! schedule, visit www.BeavertonOregon.gov/BAM. Next PostNext Your Art Here!